Neuro Academy uses the latest science to provide community members, volunteers, and employees with the tools to self-motivate, organize, find purpose, achieve emotional stability, and to become leaders in their own groups and micro environments. Doctors Dean and Ayesha Sherzai provides comprehensive, empowering, and easy to apply information about brain healthy living based upon in-depth research and solid science. They do this as neurologists and neuroscientists through their work as Directors of the Alzheimer’s Prevention Program at Loma Linda University Medical Center, with patients, organizations, as keynote speakers and through online writing, videos, and books. 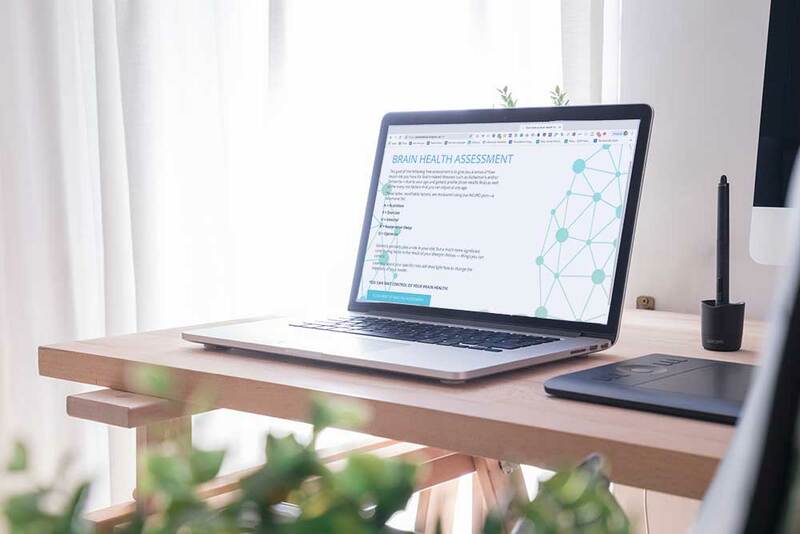 The goal of the free assessment is to give you a sense of how much risk you have due to your age and genetic profile (Non-Modifiable risk) as well as the many risk factors that you can adjust at any age (Modifiable risks). Sign up for our monthly Team Sherzai newsletter for the latest brain and body health updates. Your welcome email will be our FREE checklist Top 20 Foods for Brain Health along with some background on our work.